Marks & Spencer Foodhall, which occupies an ideal position in Sittingbourne Retail Park, is located on Mill Way, a 0.36 mile driving distance north-east of the centre of Sittingbourne (nearby The Forum Shopping Centre and Sittingbourne Train Station). This store mainly serves shoppers from the districts of Borden, Snipeshill, Sittingbourne, Tunstall, Bapchild, Iwade, Bobbing, Kemsley, Murston, Chalwell and Newington. Its store hours for today (Friday) are 8:00 am to 8:00 pm. Here you can see the opening hours, navigation and customer experience for Marks & Spencer Sittingbourne, Kent. Visit Marks & Spencer Foodhall immediately near the crossroads of Eurolink Way, The Wall, Milton Road and Mill Way, in Sittingbourne, Kent, at Sittingbourne Retail Park. Just a 1 minute trip from Eurolink Way, St.Michael's Road, Milton Road and The Wall; a 3 minute drive from Staplehurst Road, London Road, Chalkwell Road, Crown Quay Lane or Borden Lane; and a 7 minute drive from Maidstone Road/A249. To find this store easily, key in the following navigation coordinates: ME10 2XD. Buses can be reached from Mill Way/Morrisons and Railway Station. Lines 5, 9, 322, 326, 333, 334, 341, 344, 345, 347, 351, 371, 638, 751, 370L, 370S, 371L and 371M will take you here. If you're arriving by train, you can disembark at Sittingbourne Station (1190 ft away). The line that runs here is: Southeastern. Nearby there is Bobbing Village School, Eurolink Industrial Estate, The Sittingbourne & Kemsley Light Railway, Kemsley Primary School, Borden Grammar School, Westlands School, The Sittingbourne Community College, Minterne Junior School and Milton Creek Country Park. The total number of Marks & Spencer locations presently operational in Sittingbourne, Kent is 1. On the following page you can check the entire index of all Marks & Spencer stores near Sittingbourne. Please be advised that usual operating times for Marks & Spencer in Sittingbourne, Kent may be modified during the UK holiday season. These exceptions include Xmas Day, New Year's, Easter Sunday or Black Friday. 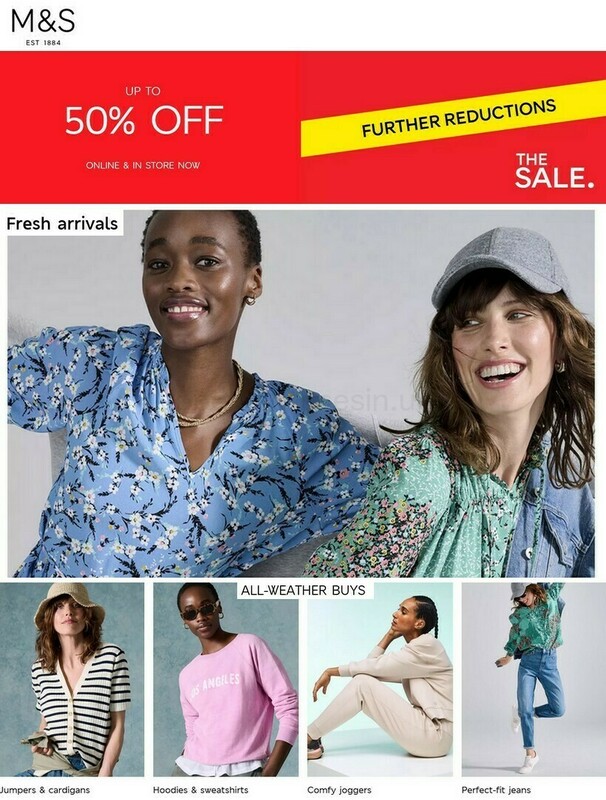 Take a look at the official website when planning your trip to Marks & Spencer Sittingbourne, Kent, or phone the customer number at 0333 014 8555 for precise information about the seasonal hours of opening. Please take a look at the other stores in Sittingbourne Retail Park. Located in this spot you can also find Argos, Dunelm, McDonald's, Maplin, Bunnings, KFC, Currys, Morrisons, Homebase, Carphone Warehouse and a few others. Help us keep the information as current as possible. Please don’t hesitate to use this form to report any mistakes with the address info or open hours for Marks & Spencer in Sittingbourne, Kent. Opening Times in the UK encourages you to express your feedback on Marks & Spencer which will assist other patrons in their retail decision and provide them with further information.